SAN BERNARDINO, Calif. — The Snow Canyon 12U softball team finished pool play Monday morning with a 7-4 win over Montana, completing the four-team Round Robin portion of the Western Regional with a 2-1 record. Single elimination tournament play begins Tuesday for the young women from the Santa Clara area. Representing the state of Utah, Snow Canyon beat Alaska 5-1 Friday with Jenna Thorkelson pitching a seven-hit gem. Tied 1-1 in the fourth, Emma Miller knocked home the go-ahead run and the Snow Canyon team plated three insurance runs in the fifth on RBIs by Thorkelson, McKenna Staheli and Anyssa Montano to take the win. Saturday, the southern Utah girls got behind 11-2 to regional favorite Oregon, but came roaring back to score seven unanswered runs. Snow Canyon even got the tying run to the plate with two outs in the sixth (and final) inning, but couldn’t get the equalizer. Tyler Mooring had three hits and three RBIs in the game for SC, which took Sunday off. Monday’s contest saw Snow Canyon race out to a 5-0 lead through the first 3 1/2 innings. But Montana rallied to cut it to 5-4 with a pair of runs in the fourth and the fifth. Two insurance runs, aided by a Montana error, secured the win for Thorkelson, who struck out six in the game. Mooring and Ginny Deming had a pair of hits to lead the Snow Canyon effort in the victory. Jael Wilde knocked home a pair of runs as well. Tournament play begins Tuesday at 10 a.m., though matchups have yet to be determined as Snow Canyon ended up in a three-way tie with Montana and Oregon. 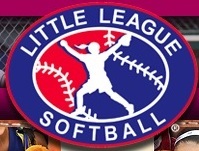 Other teams competing for the right to go to Portland and the softball Little League World Series include Arizona, Southern California, Northern California, Wyoming, Idaho, Nevada and Hawaii.